﻿ New Hakuginsou Hotel, Furano | FROM $56 - SAVE ON AGODA! "Highly recommend this if u want some Japanese flavour ." "Located near 7-11 convenient store and bus stop (to city)." "Overall good as described & reviewed by community." "Good services and the hotel owner can speak English." 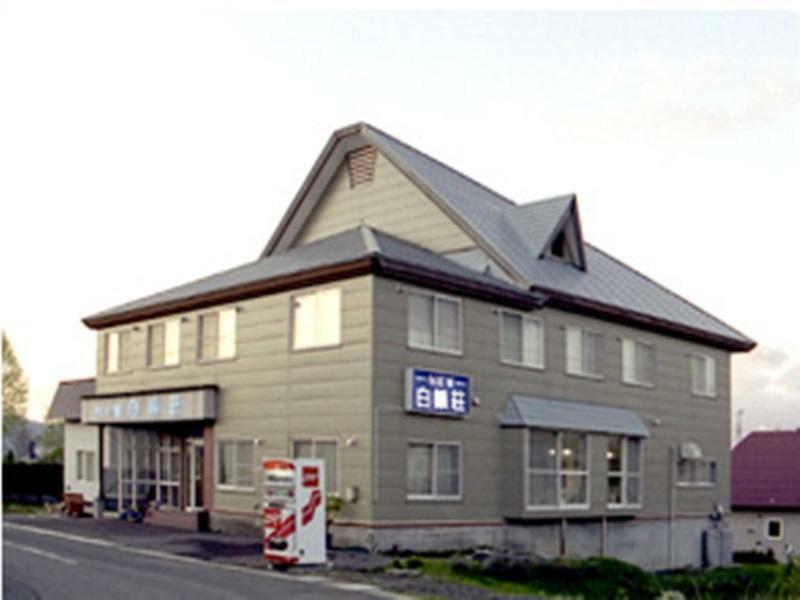 For travelers who want to take in the sights and sounds of Furano / Biei, New Hakuginsou Hotel is the perfect choice. From here, guests can enjoy easy access to all that the lively city has to offer. For sightseeing options and local attractions, one need not look far as the hotel enjoys close proximity to Garden of Wind, Furanonishi Hospital, Furano Wine House. New Hakuginsou Hotel offers impeccable service and all the essential amenities to invigorate travelers. While lodging at this wonderful property, guests can enjoy daily housekeeping, laundromat, car park, restaurant, vending machine. Guests can choose from 13 rooms, all of which exude an atmosphere of total peace and harmony. Whether you're a fitness enthusiast or are just looking for a way to unwind after a hard day, you will be entertained by top-class recreational facilities such as spa, garden. Discover an engaging blend of professional service and a wide array of features at New Hakuginsou Hotel. "Pros: - Location is near to the main road - Facilities are w..."
The property does not accept credit cards. All charges must be settled by cash. Overall good as described & reviewed by community. Clean rooms and well maintained shared facilities. the onsen was nice. The owner made you feel welcome. The location is near a convenient store. When we statyed there was hardly other rooms so it felt almost private. There are very few and infrequent buses to the hotel area so it is better to have a rental car if you stay here. we had a rental car so no issues. If you don't have a rental car - look for a place near the JR train stations instead. Pros: - Location is near to the main road - Facilities are well equipped. Eg: oven, microwave, refrigerator, washing machine and dryer. - Owner is friendly and speak good English - Free on-site carpark just next to the hotel Cons: - Limited washroom (2 for male and 2 for female) - No lift but only big steps staircases, difficult to carry the luggage to the guest room located at level one. We went during the down period. We were the only guests there. Basically the Furano area was literally a ghost town as Furano itself isn't a big toen and does not have many people and rely on touritst during the summer and ski seasons. Shared bathrooms and bathing area. Has a small indoor hot bath or onsen. Great and very filling Japanese breakfast prepared by the host and wife. About 15 to 20 minutes walk from the JR station. Best to get a bus which stops you in front of a 7-11 and you cross a road to get to the guesthosue. Ask the tourist information centre for help if you need to take a bus. Surprisingly good English from this elderly Japanese host. The Japanese couple who runs the hotel was very kind. The owner speaks good English. I really liked the home made Japanese style breakfast. The facilities are simple and basic. From the Kisen bus stop of Lavender bus , it literally took 2 min for me to get there and was very easy to find. Great location! For shared bath, I might be biased as I generally like onsen type shared bath - it was actually pretty good as there was a big bath tub with purple color water (it was lavender bath salt infused water). Great stay! I would like to come back. Room is small but clean & comfortable. Location is convenient as there are a few restaurants and a convenient store (7-11) opposite the hotel. Host speaks English and is helpful. He also gave a small souvenir to us which was really a nice gesture. Good services and the hotel owner can speak English. Located near 7-11 convenient store and bus stop (to city). If you drive, there are hotel parking lot available also. No shower but there is a public bathroom (shared bath tube, Japanese style) at ground floor. Overall we enjoy staying here with cozy enviromnent and clean room. We stayed here dor 3 nights in the winter. The location was great...close to town and an easy drive to other ski areas. It’s only a few hundred meters walk to rhe base of the Kitonamine gondola. Fujimoto and Tami were great hosts. They were friendly and accomodating. The Japanese-style rooms were a good size and clean. The tatmi mats were very comfortable! The breakfasts were fun and tasty. did not spend much time in the property as i was out early morning and back when the chairlifts closed. good location if you don't mind a short walk to the ski area (you can lock your skis overnight for ¥100, so this makes the option easier). 7-11 round the corner and not too distant a walk to town. eateries nearby. owner a nice gentleman and spoke really good English. would stay again, no question. This place is a short walk from the Kitanomine gondola. They do fantastic breakfasts and the lavender bath is wonderful for sore muscles. Many restaurants close by. The owner was very helpful and organized to send my bags to the airport at the end of my stay. Breakfast was the highlight - huge delicious breakfast and different everyday. About 10min walk to the lifts (5 at pace). Warm, comfortable rooms, good facilities, good drying room. Fujimoto San is a fantastic host. Would come back to stay 100%. We had an excellent stay in the New Hakuginsou Hotel. The location is convenient within walking distance from the slopes. The lavender bath is very nice and relaxing after a long day in the slopes / backcountry. And the owner/manager of the place is a nice guy with exceptionally good skills in English language. He's a great source of information and very helpful. If I ever go back to Furano I'll stay in New Hakuginsou again! Went skiing in Furano and surrounding resorts when staying at New Hakuginsou. Stayed for a bit longer than the usual guests so Fujimoto-san prepared a nice, big room (2x6 tatami mats) with mountain view for us. Great location as the Kitanomine gondola is just a short walk uphill. Also close to the actual town of Furano so it will only take you around 20min to walk to most restaurants downtown if you don't feel like taking the bus (bus stop is just around the corner) or a taxi. 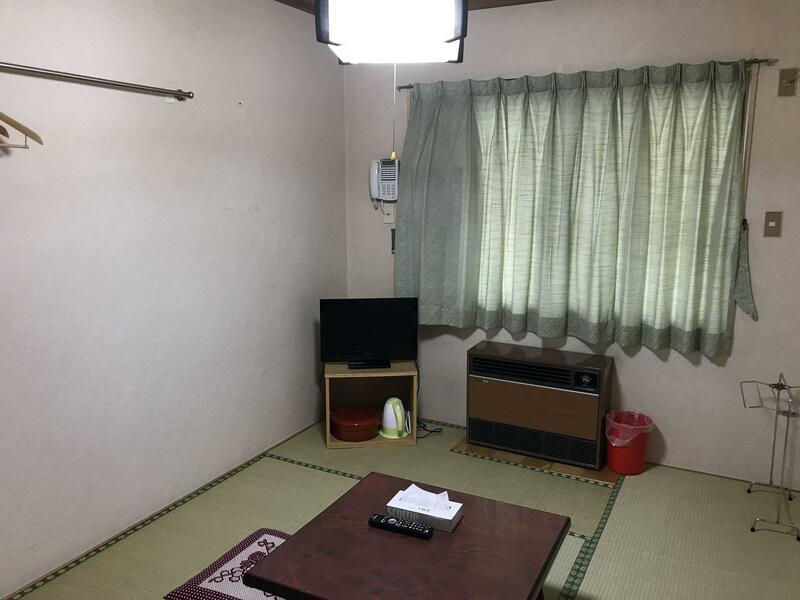 The small ryokan itself is excellent value for money but you have to know what you sign up for (shared facilities, futon bedding). The interiors are generally a little older but everything works and gets cleaned everyday by Fujimoto-san and his wife. Walls are a bit thin so you might want to bring earplugs if you are a light sleeper but that really depends on the behaviour of the other guests (it was rather quiet during our visit). Great lavender bath, big and tasty breakfast (western-style and Japanese alternating) and a fantastic host. As mentioned in previous reviews Fujimoto-san is a little reserved but very nice and helpful. Definitely recommended when visiting Furano. I had a pleasant stay at New Hakuginsou Hotel. The Hosts are a couple and they owned the premises. It's free parking, free wifi throughout the place. The room is small for twin, but it's comfortable for a solo traveler. I think the room can get pretty cold overnight, (no heating facilities in the room). The breakfast is good (for the price) and the host helped me with calls and reservations for activities around Furano. The location is a distance from JR Furano, cab will cost about 1000yen per way from station. It's near to Ski resorts but nothing much during late spring-summer. All things are clean, place is so lovely and so kindly owner. I love this place, a cute owner make me fallin' in love , he so kindly he help me and my friend everything even restaurant booking. Room, bathroom, toilet are clean. All important stuffs are availabled for free include wifi. Breakfast is also nice. This warm and lovely place is highly recommended. not a fan about having to be back at a certain time before the door locks (2300). owner was very friendly from arrival to checkout. he served us some welcome melon and a delicious japanese breakfast in the morning. need to take a taxi to the train station. little far of a walk, but great idea to explore the city by bike! The owner was unfrindly. Air conditioner is too hot. Have a good stay! The owner was good ! Have a delicious breakfast too.